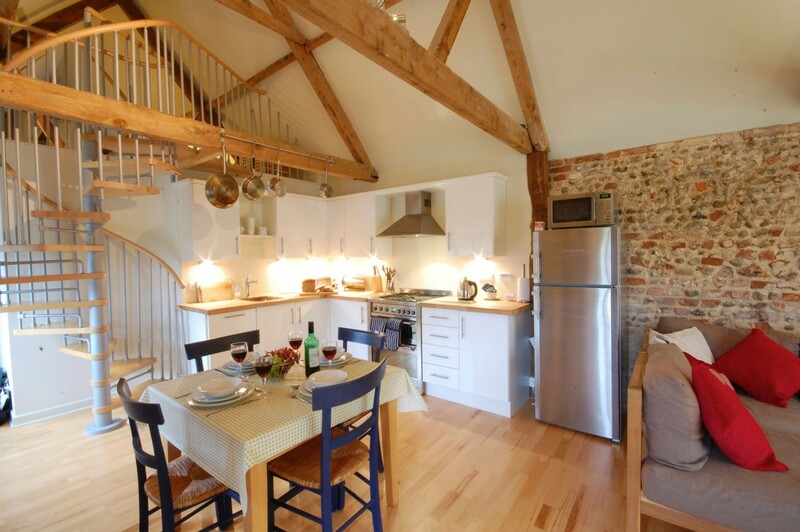 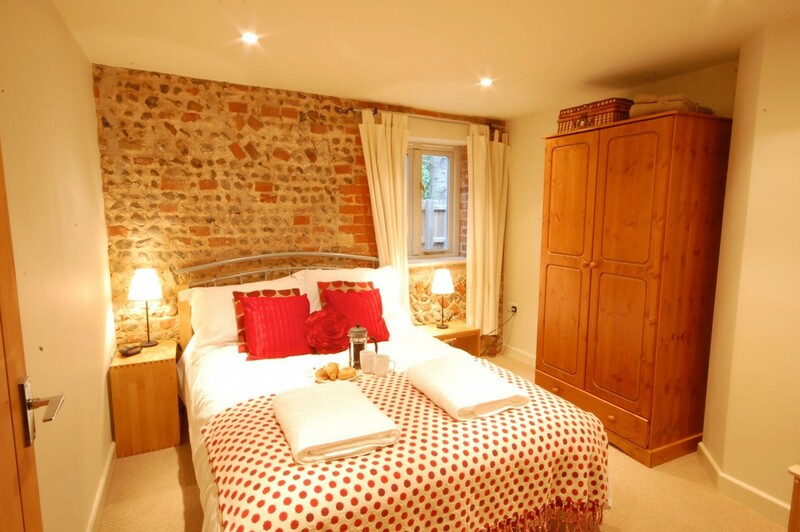 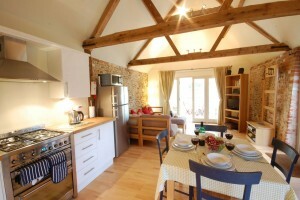 This contemporary Norfolk holiday cottage, barn conversion, contains many original features and is ideal for exploring the beautiful North Norfolk coast. 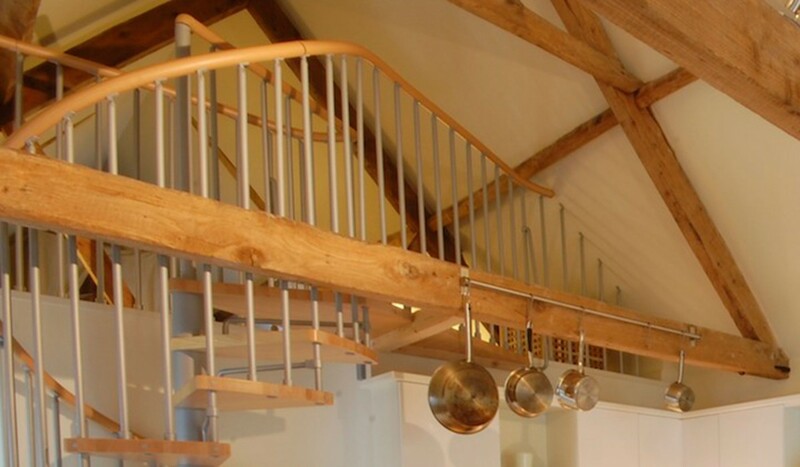 Crossways Barn is heated by an efficient bio-mass boiler using wood pellets for fuel (the heating process is automated, so that you can sit back and relax!). 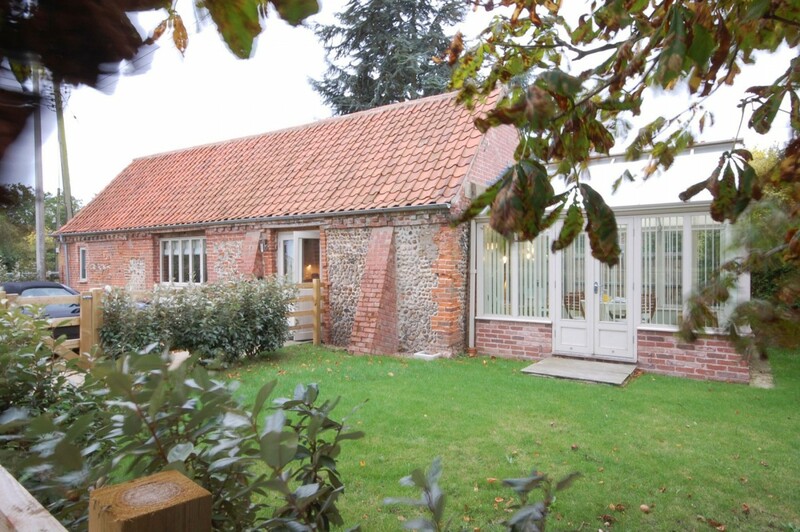 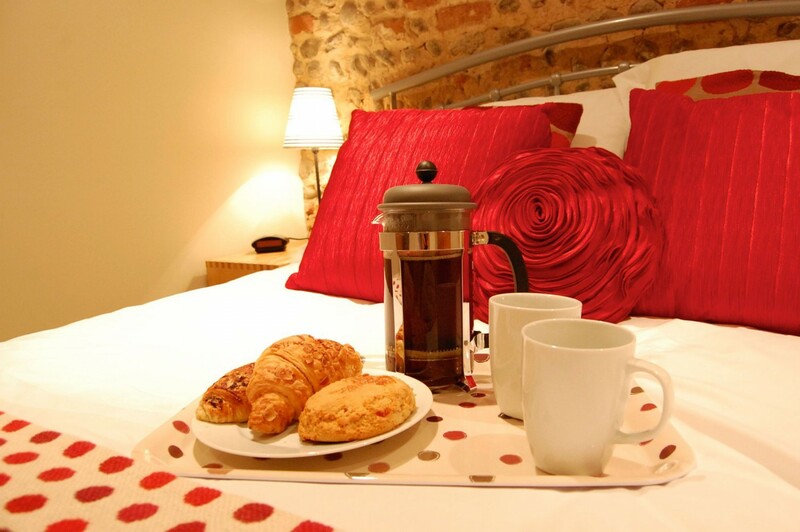 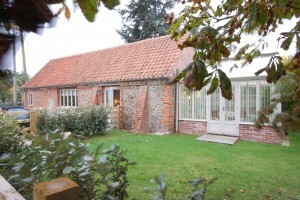 Crossways Barn is the ideal Norfolk holiday cottage for people who want to explore the North Norfolk coast, with its wildlife reserves and vast empty beaches. The spacious open plan kitchen, dining and living area benefits from exposed beams, large comfortable sofas and a contemporary kitchen. This luxurious bedroom has a warm and inviting feel, with a large, cosy double bed. 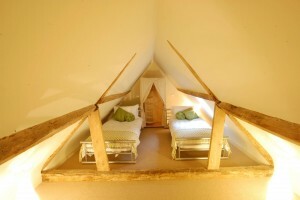 This unique twin bedroom is found at the top of some spiral stairs on a mezzanine level, highlighted with exposed beams. 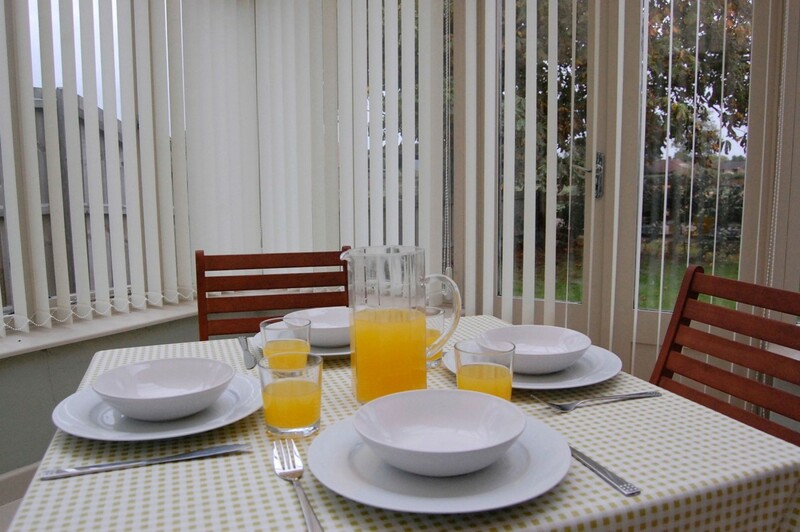 With doors from the living area, the conservatory is ideal for dining in the summer months. 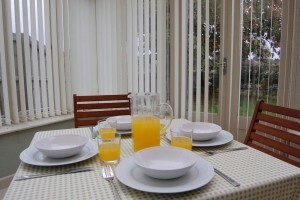 Garden with a table and chairs and parking for two cars.